A look into what Minecraft could become when you add a splash of magic...Ars Magica is a mod about casting powerful spells, fighting bosses, and having fun with magic! It features a unique spell creation system where you can create any spell you can imagine! Interested in playing on a public server with this and many other magic-themed mods? 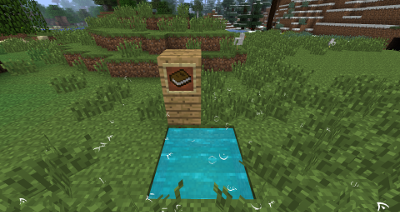 Place an item frame within a few blocks of the pool, and put a book into the item frame, and watch the show.This will give you the Arcane Compendium, which has everything you need to continue using the mod, from guides, to structures, to items, to bosses. I'm using Ars Magica 1.10.2 and up! Report to the Github Repository under Growlith1223 until further change, make sure to check if the bug has been reported or not before submitting as usual! This mod crashed / This mod doesn't work with X other mod! It's a bug, etc. Very unlikely. Typically these are simply block ID conflicts or some such other thing. Make sure you check your log file, it tells you exactly what the conflict was. If it turns out it's not a conflict, see above. Just don't. I can't stress enough how little I care. No PMs please! Details below. If these three conditions are met, then you have my permission to use it in a mod pack. Have fun! Any idea when this mod will be updated to 1.8.9? I have been looking forward to this for a while, this is one my favorite mods of all time. When you get the powers how do you max out everything like on ssundee's lucky block vid wizard of oz when he had level 99 max burnout and all that stuff. How do you max everything out is it a item or command? It's just a command, I forget it off of the top of my head but it's in game somewhere. I found out but thanx! java.lang.IllegalArgumentException: resource AM2_at.cfg not found. Just some error information do what you like with it. I thought this mod was dead. You need AnimationAPI to run this mod. Guess he thought he didn't have to tell anyone. It is on his forum thread. It would make sense to have it on the main page as a note or something telling people that you also need AnimationAPI to run this mod. That would make it less of a hassle when people think you only need this mod and try to run the game only to find out you need something else. Forcing them to get out of their game and back on here. Question: Were you only using AM2? Or did you use something with it like more player models or something? This is one of my all time favorite mods. Amazing idea. They are working on a 1.8.9 update as i type this. 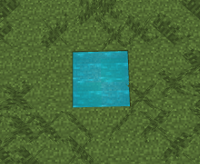 This mod was avaible for 1.7.10 - Now I don´t see any version for 1.7.10. what happened?